We, the Arcturians, have come into your awareness within this NOW to remind you of your own Inner Power. We realize that your taking an earth vessel in order to assist with personal and planetary ascension has been a difficult situation for many of you. You have volunteered, mostly for the planet Earth, whose Soul is known as Gaia, to educate the humans who are still unaware that they, too, have a “Soul Essence” that is in total alignment with Gaia. One of the things that all of our volunteers to Earth studied before they began their “Mission to Earth,” was how to be able to act, think, and become, a third dimensional human. Many of you who will choose to read this message have been among those who made this choice. You may even remember making this choice, but likely only in your dreams, meditations and/or memories of Home. Therefore, we would like to assist you to remember your fifth dimensional Home, as well as the fifth dimensional forms. We know that at some time, or very frequently, most of you have returned to your fifth dimensional Homeworld or Starship. These visits usually occur when your consciousness resonates to Beta Wave, and especially, to Theta Wave states of consciousness. Then, the first thing that I remembered about my fifth dimensional SELF is that my spine is naturally aligned, and each vertebra calmly resting on top of the others from the base of my spine and into my brain. Now, as my neck and head align with my spine, my neck relaxes to assist my head to gently reston my shoulders. This experience reminds me how my shoulders move up and my neck moves forward as soon as I feel stress. How often have I not listened to my body? Now, I can feel how difficult it is to remember to keep my head back so that the energies can more easily rise from my Kundalini and into the higher and higher chakras. I can now feel how I instantly relax as soon as my head gently moves into alignment with my spinal column, as well as all my chakras. When you relax deeply, your shoulders naturally drop, which allows your head to rest and your heart to open. Our many brave volunteers to take an earth vessel within your NOW will be greatly assisted by this reminder. As you move through your daily life on third dimensional Earth, it is very easy to forget WHO you really are and WHY you have chosen to take the form of a third/fourth dimensional body. We mention your fourth dimensional, Astral Body because it is via that frequency of your Multidimensional SELF that you will have your first inter-dimensional experiences. Actually, many of you have likely already had your first experience, but you forgot. For example, it has been Suzille’s experience that she has found something that she wrote years ago, which documented higher dimensional experiences that she is having in this NOW. “How can that be?” we hear you ask. The reason why your higher dimensional experiences and memories are often lost to your third dimensional mind is because the resonance of a fifth dimensional experience is too high for your third dimensional brain to hold onto. “Time” is also an issue because your third/fourth dimensional brain is often too slow to capture, file, and maintain any fifth dimensional input. This situation is because the fifth dimension is too high and fast of a frequency for your third brain’s neural patterns to maintain. 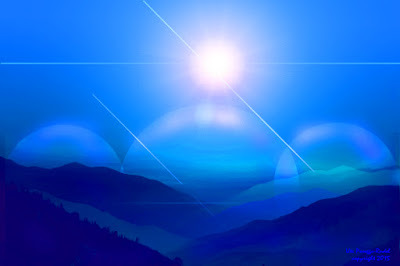 We Arcturians, will go into more detail regarding our above statement. We have Suzille write down these messages so that you will be able to also receive them and/or print out the messages. Then, one day, you may find them and read these “new messages from the Arcturians.” Therefore, we suggest that you also remember to ALWAYS document any inter-dimensional messages that you ever receive from any of your higher dimensional expressions of SELF. YES, you ALL have higher dimensional expressions of your SELF. You do NOT need to deserve this higher dimensional SELF, but it will greatly assist you if you document what you have received from that guidance. Then, one day, you may be surprised when, for no known reason, an “old journal” falls from the shelf, or an “old message” somehow comes up on your computer. This is when you make sure that you take the “3D Time” to read that message, picture, communication because it has become the NOW for you to remember that which you once received—BUT FORGOT. Forgetting your true, Multidimensional SELF is common. It is also common to forget the many messages and memories that your higher dimensional aspect of SELF has left within your 3D memory. You may have a difficult time remembering, understanding and/or sharing these inner messages because, as we stated before, it is very often difficult for your third dimensional brain to remember and maintain a higher dimensional message. This situation is similar to if you were at a party and saw your old friend from many years ago. You could remember them if you had spent a great deal of “time” together within your physical life. However, if you only met them once or twice during an event that you were not enjoying, or were distracted from, you may not remember them. The secret is that if you deeply focus your attention on something, or some one, there will be a strong engram left on your brain. The term “hypothetically permanent” states that different people will be able to maintain a conscious connection to this engram, but others will not. Many people have had the experience of seeing something that has been written, printed or documented long ago, that is no longer in their current memory. In terms of perceiving your higher dimensional Starships, some people will be able to maintain the memory of that sighting, whereas others will not. However, the more often that you have that same experience, the more likely it is that you will remember it. Also, if seeing a Starship frightens you, you will likely “push it out of your memory” as a means of protecting yourself. On the other hand, if you want to have the experience of consciously perceiving one our many Starships, you will be able to have that experience and, also, be able to hold it in your mind for a longer time. On the other hand, novel perceptions—in this case the perception of a Starship—can be frightening. In this case, the memory may not be stored in your brain. You do have the ability to tell your brain what is important for you to remember and what you would rather forget. However, either way, the memory may only come up in your fourth dimensional consciousness. Your fourth dimensional consciousness is often just before you fall asleep or just before you wake up. It also accesses more creative or novel events, especially if they have a “feel good” emotional marker. On the other hand, unresolved negative and/or frightening memories are also filed in your brain, but in the “unhappy emotional file.” Just as the happy, positive, victorious emotional files are very helpful when you need to “pep yourself up, or prepare for something important,” the negative, frightening files can cause erratic emotional reactions and even embarrassment. It is for this reason, that it is a good idea to “clean up the attic” of your brain to heal and erase negative emotional memories, as well as to find “lost gems of your life.” Bringing up happy, powerful, successful, positive memories remind you that you have had experiences of victory, creativity, love, endurance and more. You all have experienced how much your words, and even your silent attitudes, affect your communications with others. 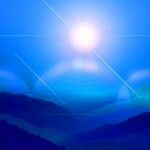 We, the Arcturians, are asking you to remember how much your positive, silent, attitude assists you as you walk through the many changes of your daily life. We, the Arcturians, wish to remind all of our fifth dimensional beings, who are currently wearing a third/fourth dimensional body, to remember their OWN fifth dimensional expression of SELF. Remember, all of the members of humanity, from the lowest to the highest states of consciousness, are Multidimensional Beings who have had many frequencies of personal and collective expressions of SELF! “Do you choose to be a Lower Dimensional expression of your Multidimensional SELF? You are now wearing a third dimensional Earth Vessel, which allows you to choose to happily remember and effectively live via your Power Within? Or, you could choose to fall into the illusion of the Lost Ones who live their life via the illusion of Power OVER others? We are aware that those who will find this message and read it, have likely chosen to live by POWER WITHIN, or you would not have chosen to read our message. We the Arcturians Thank You and Gaia Thanks You! As you know, there are many who have chosen to live their lives via “Power Over Others.” To allow yourself to become frightened or angry towards these lost ones just pulls you into their reality. Therefore, we remind you to send extra Love and Light to these lost ones. In fact, we see all you Guardians NOW, and we thank you, the Guardians for Gaia, for the immense contributions you have made by remembering – and returning to – your Fifth Dimensional SELF! One gift that you will receive for your great service is that you will begin to remember your true, fifth dimensional SELF, as well as your fifth dimensional Starship, your fifth dimensional life, and your fifth dimensional friends. In fact, it is likely that many of your Earthly friends are also fifth dimensional, and they have also come to Gaia to assist Her with Her Planetary Ascension. Before you go to sleep, during your meditations, in your journal writing, or just whenever the call comes, give us—Your Galactic Family—a big hello! You may not be able to see us or even be aware of us. However, we can always see you, and are always aware of our deep bond with you ALL!